Jillian teaches a flow based Wednesday Shakti’s Mommy and Me, class. She is a mother of two and strives to bring a fun and eclectic vibe to her classes. She received her 200 hour from the Richmond Virgina based Karuna yoga program, and believes that yoga should be accessible to everyone regardless of age, ability level, or experience. Ellen began practicing yoga over 25 years ago for help with a medical issue, but soon recognized that healing can happen on many different levels. When Ellen realized she didn’t want to “do” yoga, but to “be” yoga, she found diverse teachers and further trainings to both deepen her own practice and be able to share the peace, strengthening, energy movement, healing and joy of yoga and meditation with others as an instructor. Ellen is registered with the Yoga Alliance as an RYT 500 after training with Lynn Matthews, is certified by the Himalayan Institute as an Ayurvedic Yoga Specialist, and also certified by the Amrit Yoga Institute to facilitate the Amrit method of Yoga Nidra. When appropriate, she incorporates into her yoga classes her skills and training as a therapeutic riding instructor, and especially loves teaching yoga to equestrians in order to enhance/improve the students’ alignment and balance, and improved communication with their horses. She is also grateful to be able to share healing in others as a Reiki practitioner. Jan studies under Beryl Bender Birch, Rod Stryker, Rodney Yee, and Anusara Yoga. She is a Certified Tai Chi Instructor for Health and includes Arthritis, Fall Prevention, Low Back Pain, Rehabilitation under the auspices of Dr Paul Lam and Dr Bob McBrien. 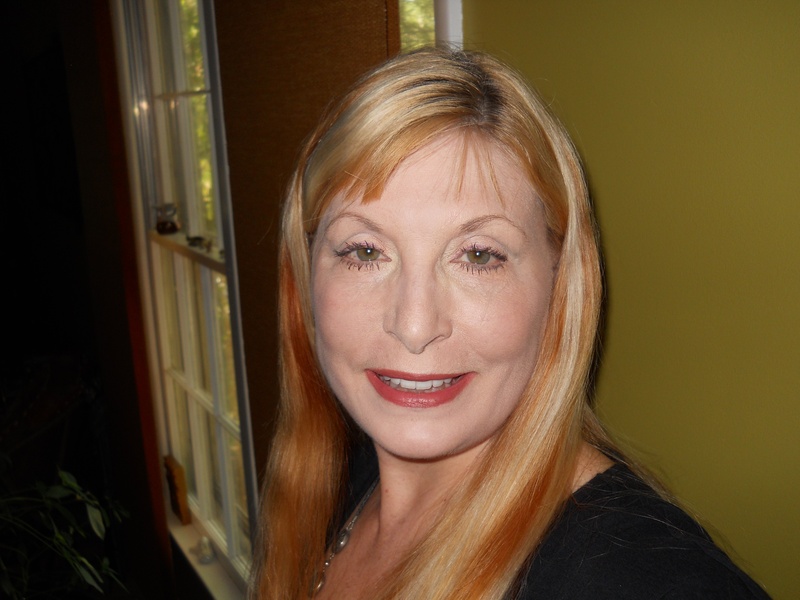 She is also a Reiki Master Practitioner under the auspices of Annapolis Reiki led by Pat Clarke and Linda Roebuck. Her phylosophy is and always has been to get up and get going. Whether it is taking a leisurely stroll or attending a yoga class, it is always best to move. That movement includes moving physical energy through healing art modalities. Yoga attracted Jan many years ago when she took her first class and discovered that she could actually connect mind with body. It opened her up to a link that had been missing. This led to studying Meditation, Tai Chi, Gi Gong and Reiki. Kristen Kissik has rejoiced in movement ever since she can remember. She trained as a gymnast as a young girl and as a compliment to her training she also studied ballet and jazz dance. Kristen was fortunate to be a part of a wonderful program called Project Talent throughout all of her high school years, where she was exposed to Modern and Contemporary dance. She attended Emerson College and Boston Conservatory of Music before she began performing and choreograghing professionally in the Boston/Cambridge area. She danced and taught classes for children of all ages for 14 years thriving in a community of creativity with many vibrant artists. She and her husband relocated to beautiful Boone, N.C. in 2004 where she continued teaching and performing. It was in Boone that she became a Certified Yoga Teacher. Kristen had been a practicing yogini for 18 years and the intense teacher training at Neighborhood Yoga was a perfect way to deepen her experience with yoga. Kristen is passionate about dance and yoga as a means of personal expression as well as a holistic approach to mind/body health. She strives to create a nurturing environment in all of her classes and challenges her students to rise to their highest potential. Kristen currently teaches creative movement/dance for children as well as adults at Shakti Studio. She also looks forward to subbing more yoga classes now that her daughter, Azalea is in kindergarten. Linda has always enjoyed many types of physical exercise both indoors and out, along with camping and hiking, and happened onto her first yoga class at hergym in 1999. It was her eureka moment. Working a stressful job and commuting to Washington were taking their toll and she fell flat out asleep in her first Savasana and was amazed how one practice not only made her body feel great, but allowed her mind to slow down. She felt such a physical and spiritual connection to the practice that her life changed from that day on. She began her yoga journey. She felt drawn to teaching and began to attend numerous workshops and yoga conferences. She became a regular at Willow Street Yoga and began apprenticing in 2004. She graduated from Willow Street Yoga Center’s Anusara Yoga Teacher Training Program in 2005 and began teaching the same year at Davidsonville Yoga. She retired (escaped) from the Federal Government in 2009 after 38 years as a Senior Contracting Officer and Team Leader. The best way to describe Linda’s teaching style is alignment based hatha yoga, combining bringing the body into proper alignment with classical yoga postures along with a sense of fun and adventure, not to mention wackiness. She believes that yoga should not only create a strong body and tranquil mind, but should also be lighthearted and fun because when we can relax and have a good time we can more easily come into ourselves. She continues to study yoga and train whenever possible with her teacher, Lucy Lomax. Her other joys are creating jewelry with crystals, natural elements and repurposed found items along with hand silver casting and silver smithing. She loves Asian design and trains and grows Bonzai trees. When Linda is not at home in Annapolis, she can be found either on her farm in St. Mary’s County or on her Capstone, spending time with her husband Calvin and her puppy Lilly. Noreen began her yoga practice over 10 years ago as a way to manage stress and anxiety. She completed Her 200hr teacher training at Healthy Life Yoga in Midlothian, Va in 2016 and has kept a current fitness training certification since 2010. Teaching has been one of her greatest passions and she loves to be of assistance to students in any way she can. Noreen is also one of Shakti’s Reiki practicioners. Yoga is more than just a practice or exercise to Stacey it is a way of life, one that has changed the course of her journey and ignited a passion for guiding others to experience the same profound healing. After many years of depression, addiction and a general unhealthy lifestyle Stacey made the decision to surrender her will and try a new way of life. One of those new choices came in the form of a gym membership. Little did she know that decision to take that small step into Kimberly Murphy’s class that day would be the pivotal step that would change the course of her path. Over the past five years Stacey has become certified in many formats of group exercise such as Body Flow, Sh’Bam, Barre, Aerial Yoga and Body Pump. Stacey is Leadership and Intensive certified in Y12SR, yoga of 12 step recovery, and believes that yoga can heal the body from the inside out and is a necessary component of healthy living. After a two year wait Stacey was able to attend and graduate the 200 hour teacher training at The Pranakriya of Yoga Healing Arts under the guide of her teacher, yoga mentor and friend Kimberly Murphy in May 2018. Stacey believes that yoga is a valuable tool available to help us heal body mind and spirit. Thanks for reaching out. I suggest coming to any of the following classes… Beginner/intermediate with Joan at 6:15 on Monday evenings, Restorative Yoga at 6:30 with Ellen on Tuesday evenings, Yin Yoga with Jen Wednesday mornings at 9:00 am, Beginner yoga with Megan at 9 am on Thursdays, or Beginner yoga with Linda at 9 am on Saturday’s. Be prepared to.. - SWEAT away those calories - RELEASE all inhibitions - RECHARGE your soul - ELEVATE your health and wellness Shakti Studio will join GoddessFit at their next #SaturdaySweat Fitness Party: Island Getaway Edition, January 26, 2019. SEA you there!